Random Thoughts – I "SAM" THE TRUTH! Happy New Year! 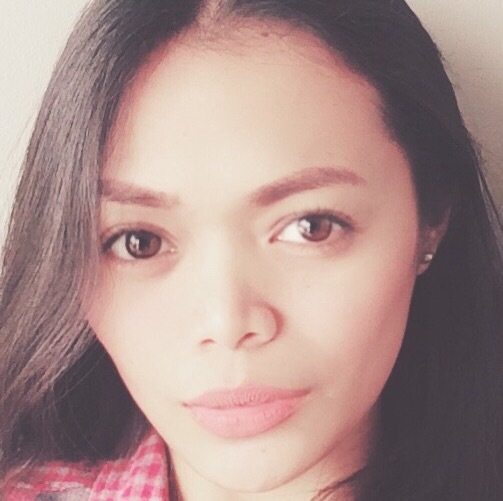 🙂 I have no idea why I opted to post one of my “Ugly Betty” shots last year: no makeups, just my bare face and eye-wear. Get up and don’t be ashamed to show the world who you, really, are. By the way, I am grateful for this opportune time to relax on my swivel chair, thinking that now is the perfect time to write few blogs before I bid my temporary farewell to concentrate on my studies. Thank you, avid readers! I hope and pray that this year turns out the best for all of us. May God’s grace, love, and peace be with us all throughout the year. Final exams? My God and I will conquer them! I found myself re-opening C.A. Azucena, Jr.’s annotation on the Labor Code, 2013 Edition. Truth be told, I am not a fan of reviewers (although I’m on my fourth year now because our subjects are, mainly, reviews). I find consolation with my good, old annotated-books, no matter how sacredly thick they were. It’s where I can both dream and plan with the author, and learn and decide the logic or reality. For reviewers are, usually, excerpts of stories. You’re barely providing yourself the full consumption you need. In short, you’re not getting what you’re paying for – learning and experience. Experience, because discussions are displayed in a clear context in annotations, whereas in reviewers, they are not. The abovequoted line from Lincoln shot me by the heart. I, really, like perusing pages of Azucena’s work before the preliminary title of the Code. They were outsourced from both life and law. Sometimes, these two interchange, eh? Do you have that inner passion to try something new? Come on. Ask for God’s guidance. He will give it! Here’s my second attempt to pencil-sketch a portrait. 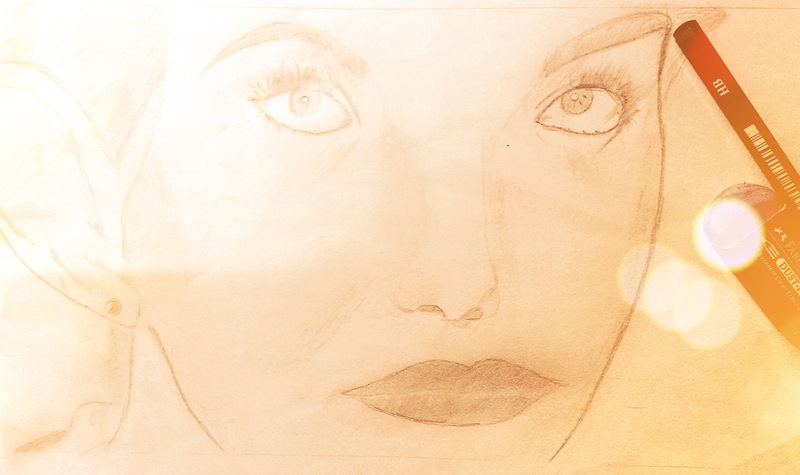 Truth be told, I thought sketching was not for me. As a child and until I reach the age of maturity, sketching has never crossed my mind. For I had conclusive presumption that this a NATURAL-BORN SKILL. Artists seem to stroke, effortlessly, and maybe, I couldn’t do it. Summer 2016 🎸. I asked God to teach me guitar. After a boon if giving me one, I learned the basics. So I can now play and sing songs. Honestly, I made a promise that I would dare not try guitar because as they say, “Masakit sa kamay ang gitara. Nakaka-kalyo (Playing guitar is painful to the hand. You can grow calluses).” But I dismissed these comments and tried. Early 2017 🎨. I became interested with watercolor painting. When I started mixing colors and applied them on the canvas, I just couldn’t stop to taste the goodness of the Lord! Let us discover more of the talents and skills we can learn! More phenomena float in the ocean of suburban existence; more feuds pirouette at the galaxy of contemplation; and more unearthing revelations beyond the core of truth. How far will you go? We all are impelled by different forces to conjure up ourselves. Generally, every person’s speech comprises of the usual words he hears or the tedious thoughts he encumbers every time. In some instances, one could possibly say what he wants to hear from someone or the least liked thing from the latter. What about you? What motivates you? This is more than a psychology-related write-up because I am not a psychologist. I am Samantha C. De Guzman. Manifestations of the humankind also differ: beliefs are affected strongly by childhood cache of fears, intuitions, dreams, success or failure, and some other sentiments stocked through the hippocampus – the connections between neurons associated with memory. Let me take religious belief as an example. One can say that God is dead based on how he viewed a supreme being during childhood. Family plays a large role in defying a child’s intuitions as the former was his first teacher, the home his first school. Indubitably, a person could claim that God is not existing based on the cargo of millstones he has from the very beginning until this moment that no one seems to listen. Taking an atheist point of view, God is dead because no one can prove that He exists. A fallacy, isn’t it? You know a reasonable mind has a lot to prove than a shallow mind with nothing to disprove. I taught Logic as part of every college student’s curriculum, a branch of Philosophy. And more than I could ever surmise, I enjoyed it! The struggles of teaching and learning while students learn more from you is the biggest premium than an educator could have apart from his impressive salary (Well, not for me. My salary is less than my daily needs). Applying both formal and material logic, I asked my students to distinguish between the truth and falsity of propositions, and let them prove or rebut to the class why or so. Debates were also applauded so you see great minds metamorphose into millennial personas fighting against the status quo. Beyond my arbitration, I surrendered to HIM, the Alpha and the Omega. Yes, I was exposed to brilliant ideas of great minds but the latter did not move my perplexity towards the Omnipotence and Omniscience of the Creator. Most, if not everything, yet, about me changed when I met HIM. All days are struggles, and every second is a sacrifice. I gave the fight of arguing to prove that I am right; I succumbed to the undeniable fact that a human is prone to mistakes, and as far as you keep on faltering, the more you forgive others’ debt. Life with HIM is not easy, but it is worthy. I ache to know HIM more in my life, veritably. If tears and wounds are all I have, I would take them all to HIM and use them for HIS Greater Glory! I was supposed to be a slave, but through his mighty humility, we are all made his friends through His son. Are not lords supposed to be served? But He was made known here and dwelt among us to serve us. Sweet? No. Beyond explanation. When your motivation comes from above, things may not yet transpire, perfectly, but they will and even more than your uphill battles. In contrast, when a thing, person or idea is your anchor of inclination, things may come to pass in fast-paced…yet, in the same manner, they would elapse in a split second. Or, more frustratingly, when they did not go as planned, would cause us too much burden to bear. See? When your source of hope is above you, He can bless you and shower you compared to a fountain leveled the same with you or below you. What could possibly be the result? Chaos. In my previous posts, I coined myself as HIS Defendant. And as long as He wants me to achieve this mission, I would serve Him and fulfill my life’s purpose in this world: to offer my life to HIM and to others. Besides, it was all I could offer and if it was your everything, wasn’t it more worthy than anything? This blog is by HIM and for HIM! So what force motivates you? Comment below. Thanks!